The plan: He told her they would have a photo shoot for their anniversary while on their trip to Miami. I would meet them at South Pointe Park, and start photographing them on the beach. The day of the shoot: After taking some pictures and giving them direction on poses, for one pose I told her how to stand facing the water. 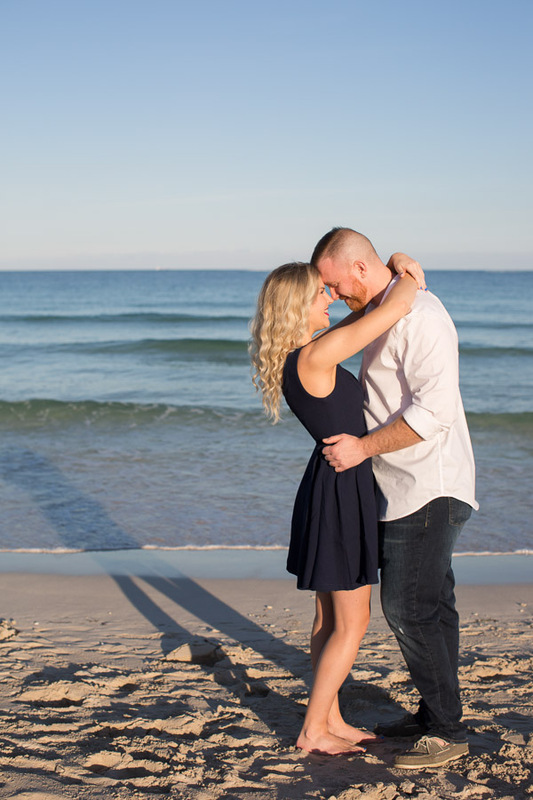 She thought I was just setting them up for another photo, but that was his cue to kneel on one knee directly behind her. Now turn around to face him, I mentioned as I steadied the camera up to my eye. Her mouth dropped open in shock, then she wiped away the tears as the emotion of the moment hit her. 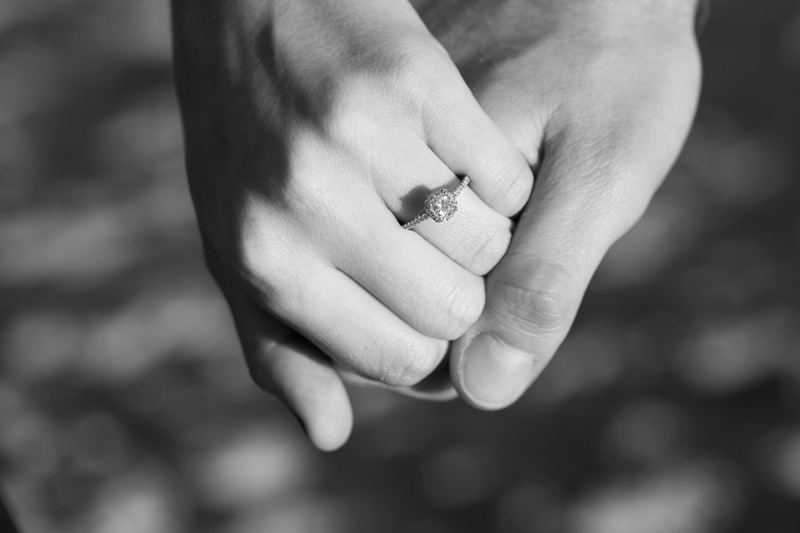 He put the ring on her finger, they hugged and she began to laugh. 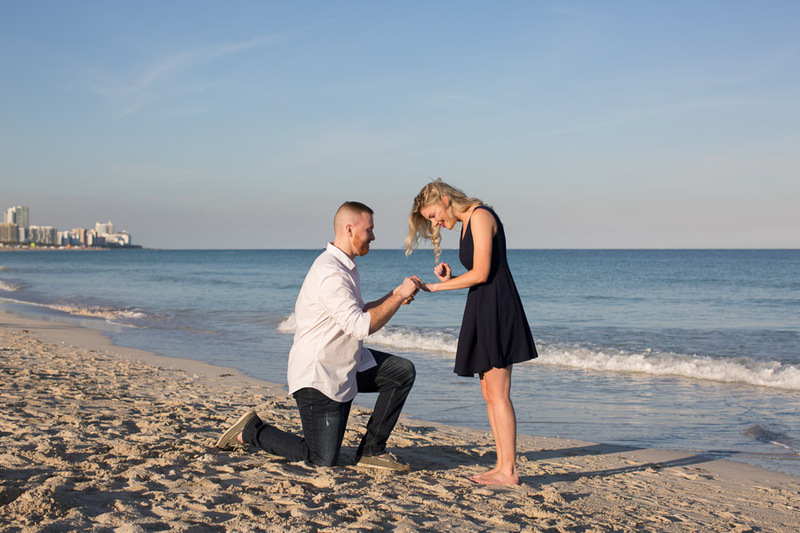 We photographed a bit more on the beach, got a close up of their hands holding – except now there was a ring gracing her finger. For the last photo they stood on the rocks along the waters edge, his arms around her waist, her hand around his neck, kissing. Their feedback after the session: They were so kind to leave me this super sweet review after the session. One of the best parts of working with people is knowing they had a great experience and love their photos. I truly couldn’t say enough wonderful things about Tova and her amazing talent! 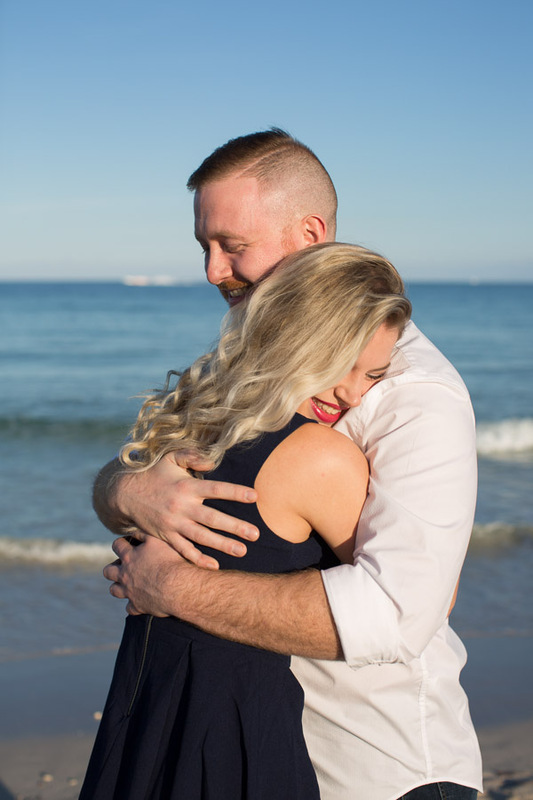 She helped my fiance plan a surprise engagement at South Point Park and the pictures turned out beautifully. 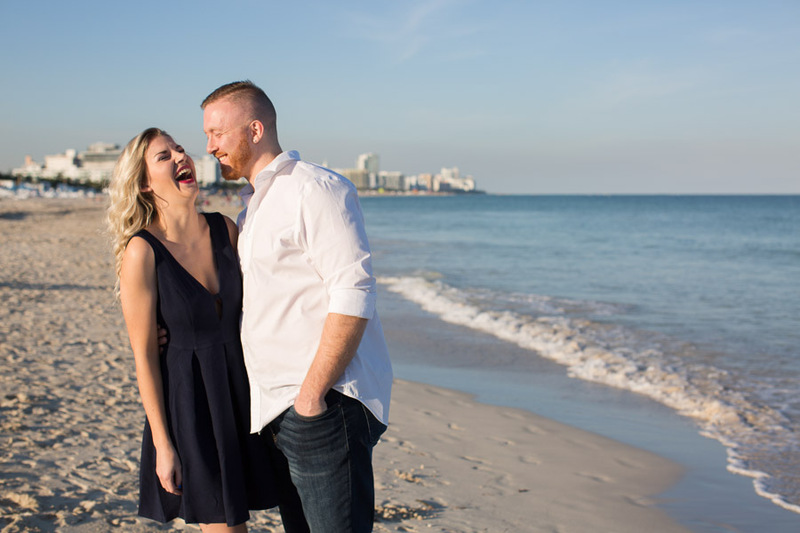 From the moment we met her to take our “anniversary” pictures, she was so easy to talk to and had a ton of great ideas for us to choose from since it was our first time visiting Miami Beach. 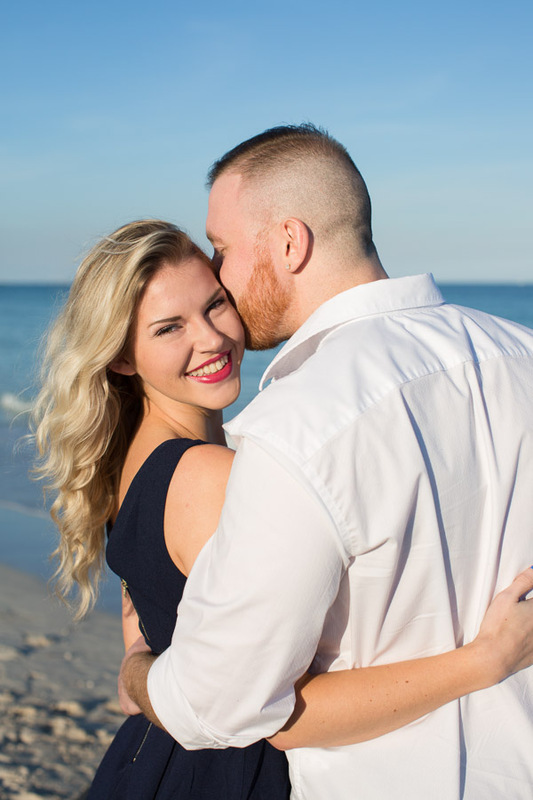 The pictures are absolutely to die for and I am so thankful that my fiance found Tova to capture this amazing moment in our lives! If you are looking for the perfect photographer to capture precious moments with you and your loved ones, look no further. Tova will do the job perfectly! 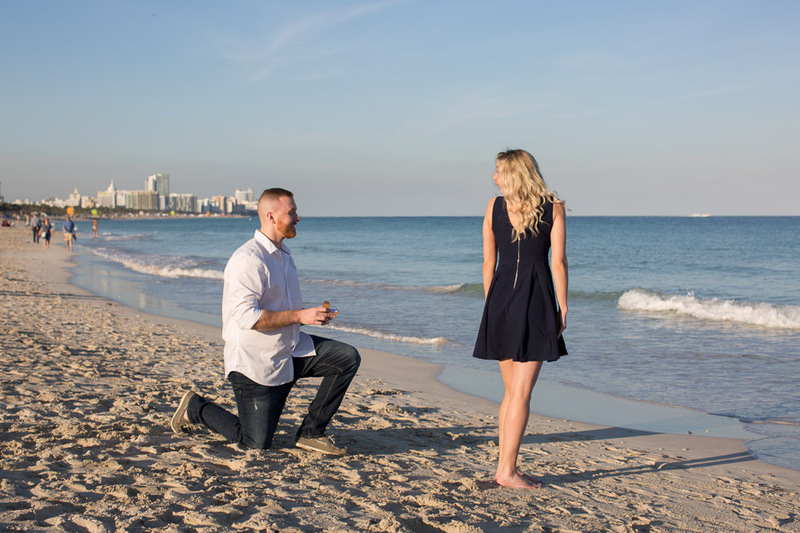 If you are looking for a Miami Beach surprise proposal photographer, you can take a look at past surprise proposal photo sessions on the blog. 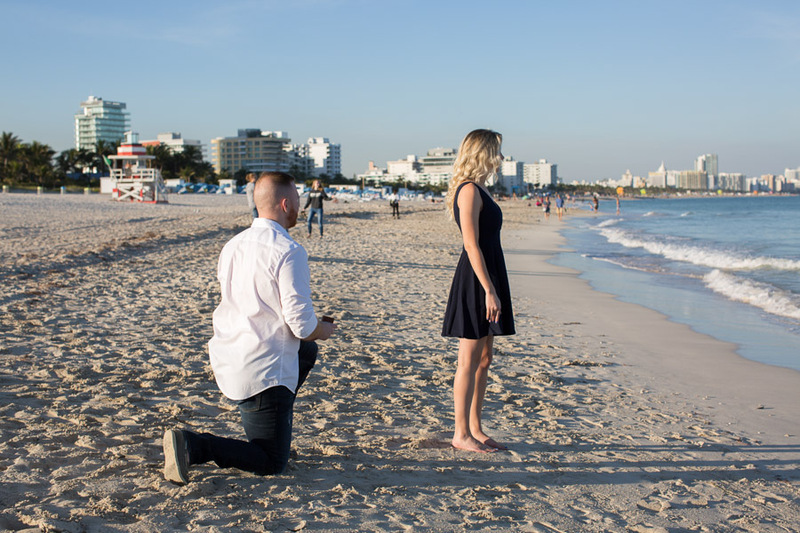 This entry was posted in Couples, Surprise Proposals and tagged Couples, Miami Beach, miami proposal, miami proposal photographer, proposal, South Pointe Park, surprise proposal on June 14, 2018 by Tova Photography.